THE SKINNY: I love Pacifica lotions, and the Coconut Crushed Pearl Luminizing Body Butter is no exception. This is a thick lotion that keeps my hands feeling soft and supple for hours. Now that it's summer, the coconut scent is perfect for the season. This lotion is made with coconut and argan oil, among other moisturizers. Just a little dab goes a long way. It also has this pearl shimmer, which I didn't really notice inside. In the sunlight, however, it looks like my skin is flecked with a fine glitter. It's fun, but not always appropriate for a 40+ woman in the workplace. So I'm careful not to touch my face after using this lotion on my hands. This product came in a recent Ipsy box, which is far and away my favorite of the subscription beauty boxes. KEEP OR TOSS: Keep. It may be a little sparkly, but I love the scent and the richness of the lotion. 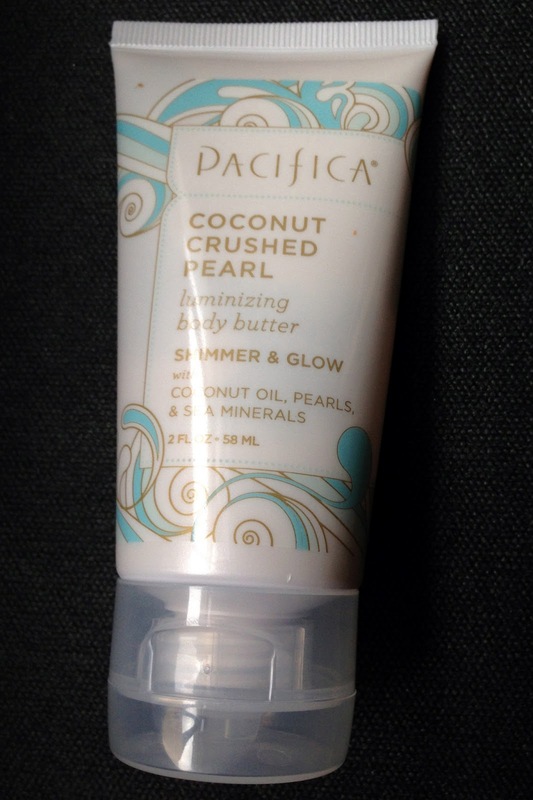 CHECK IT OUT: Pacifica makes body butter in dozens of scents and formulas. Find your favorite on the Pacifica website.